Every year, the Offshore Technical Conference (OTC) is hosted by the city of Houston. The OTC was founded in 1969 and is the largest oil & gas industry event in the world featuring more than 2,300 exhibitors, and attendees representing 100 countries. This year, the OTC celebrated 50 years. The Saudi Arabian Buyers Delegation visited the OTC hosted by the US Department of Commerce and the Embassy of the United States. The US exported about $19 billion to Saudi in 2017, a historic high. The mission of the Saudi Buyers Delegation is to foster commercial dialogue with US companies on mutually beneficial business prospects, to facilitate avenues for collaboration, and enhance existing relations. IFS’s Sales Director Juan Patino, MENA Business Development Manager Lyubomir Stetsiv, and Al-Rushaid met the Saudi Buyers Delegation to discuss business strategies and joint venture business opportunities. IFS & Al-Rushaid have formed a Saudi joint venture company. 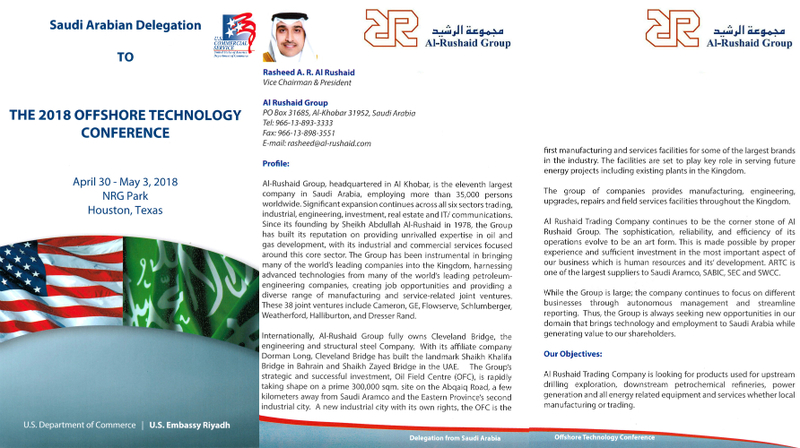 Integrated Flow Solutions, a DXP Enterprises USA company and Al-Rushaid (http://www.al-rushaid.com/home.html) are pleased to announce the formation of a joint venture Saudi company. 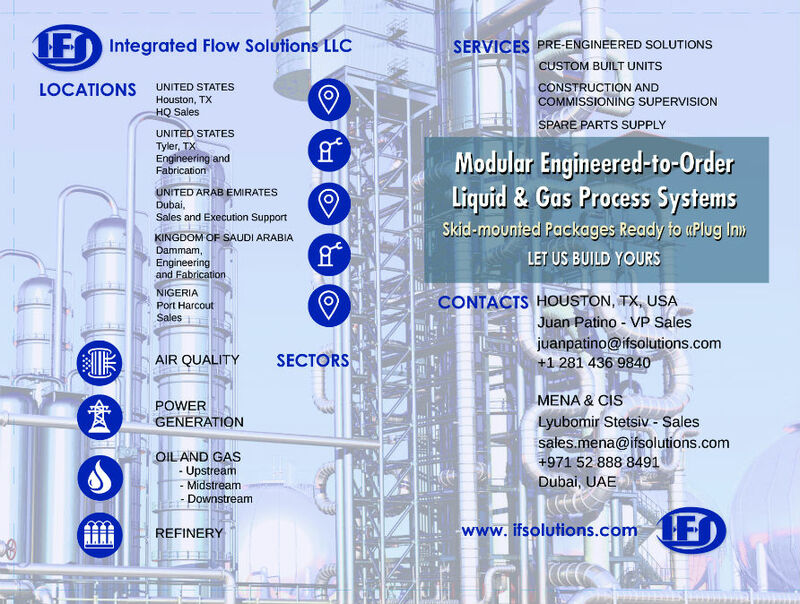 IFS USA engineers and fabricates “Engineered to Order” and “Configure to Order” modular process packages for the O&G, Power, and Air Quality industries. The joint venture company will pursue these opportunities in Saudi Arabia and surrounding countries. During a media event in Saudi Arabia at IKTVA 2017 (https://www.iktva.sa/), IFS’s William Marsh signed the joint venture agreement with Al-Rushaid’s Sheik Abdullah Al Rushaid. Al-Rushaid’s NARMEL division received the first Aramco contract under the JV for $15MM USD. NARMEL has dedicated (2) fabrication bays, 25 meters x 450 meters to the joint venture located in Jeddah.